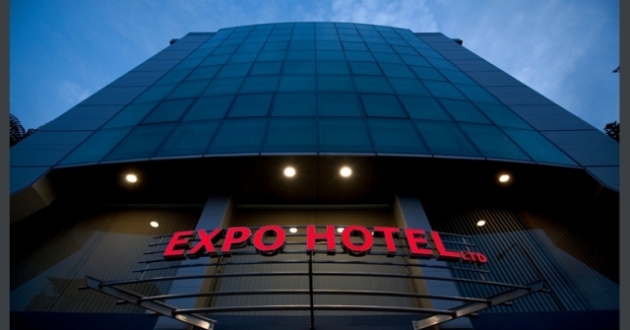 Location: Expo Hotel in Plovdiv is situated at the old Plovdiv boulevard Ruski, located in the central part of the town right next to one of the remarkably famous Plovdiv hills – park “Bunardjik”. Accommodation: The hotel offers 28 single and double rooms with panoramic view towards park “Bunardjik” and downtown. All rooms are equipped with a TV and a DVD player, wireless internet connection, telephone, air-conditioning and a mini-bar. In the hotel: parking lot, tour guide, rent-a-car, security, safety deposit box, conference hall, lobby bar, cafe, TV set, cable television, air conditioning, heating, refrigerator, phone, internet, bathroom/toilet, balcony, view, DVD, iron, hair-dryer, currency exchange, laundry, business sevices, dry cleaning, summer garden.